A large range of businesses are franchised systems. A franchise system helps a business operate with proven processes and procedures. The owner of the franchise system, the franchisor, will assist in the set up and operation of the business. It is still an independently owned and operated business. Franchising is a complex area of law and it is important to review the documents and get advice before signing up and starting a franchised business. 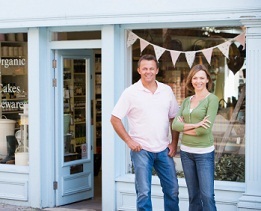 It is important to have your franchise documented to protect your ideas, name and products. A recent SumoSalad dispute shows the importance of knowing what your rights and obligations are under a franchise. The dispute was reported in the press. The franchisee was said to be in breach of its SumoSalad franchise. The franchisor came into the premises at night after the premises were closed, and was in the process of removing the franchisee’s fitout of the SumoSalad bar at Sydney Central Plaza before the franchisee arrived. It is unclear who contacted the franchisee about the actions of the franchisor in removing the fitout. Security guards hired by the franchisor prevented the franchisee from actually obtaining access to the premises when they arrived at the premises. The fitout was still being removed. The franchisee called the police. The franchisor has stated that its actions followed multiple breaches by the franchisee of its obligations, and despite repeated warnings and requests, the franchisee had failed to rectify the problems. The franchisor further stated that the extreme action was only taken as the franchisee’s actions were affecting food safety, food quality and the name of SumoSalad. Such severe action is rarely taken by franchisors. The police brought the removal of the fitout to a halt but the premises was closed. For the franchisee to recover its business and bring an action through the courts is an expensive exercise, and while the business is closed there may well be ongoing obligations that include rent payments for the premises, and franchise payments to the franchisor yet no income. For the franchisor the action is required to protect the goodwill it has built up in each of its locations, its customers and its brand. The franchisor wanted the product and service that you get from Sydney Central Plaza to be the same as you get from any other SumoSalad location. It is important to know your rights and obligations before you take on a franchise. For franchisees it is important to not only know the payment obligations, but also the required performance and compliance obligations. It is unlikely that franchisor will be able to take the action taken in SumoSalad’s case without a breach and a notice of breach on the franchisee and then the franchisee failing to rectify the breach. For franchisors it is important to protect the franchise, its name, product and system and these matters are addressed in the franchise documents.